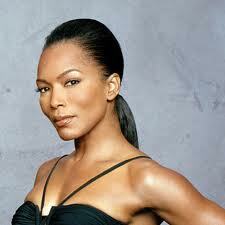 Angela Bassett is an American actress. Her only Disney role at this time is voicing Mildred in the Disney film Meet the Robinsons. Ms. Bassett has become well known for her biographical film roles portraying real life women in African American culture, including Tina Turner in What’s Love Got to Do with It, Betty Shabazz in Malcolm X, Katherine Jackson in The Jacksons: An American Dream,and Voletta Wallace in Notorious.